Avail from us, is a quality-assured range of Cast Iron Bar, which is widely used in automotive industries. These are accessible in a myriad of dimensions to meet the varied demands of our clients. Our products are highly acclaimed in the market because of their durability and corrosion resistance. We procure these bars from the trusted vendors of the market. 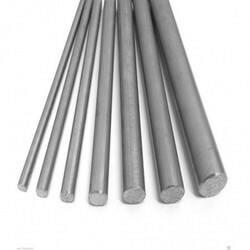 Grey Cast Iron Bar offered are precision manufactured using Grey Cast Iron and CuZnAl-alloy. 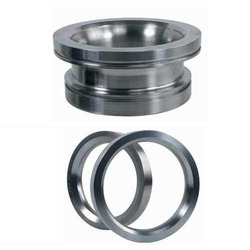 Here, while developing the Grey Cast Iron Bar, we make use of valve guides having perlitic structure with high phosphorous content that helps in achieving reticular phosphide distribution with superior graphite formation, thus providing for superior wear resistance as well as enhanced running properties in poor lubrication conditions. Grey Cast Iron Bars are suitable to be used in industry sectors including gas, oil, automotive, glass and machine tools industries. With the assistance of our dexterous team of professionals, we are engaged in offering a comprehensive range of cylinder liner for CI Bars For Valve Seats. These bars conform to set industry standards and acknowledged for their sturdy construction, durability and application specific design. We offer our CI Bars For Valve Seats in both standard and customized specifications that suit the specific requirements of our customers. Looking for Cast Iron Bar ?